This new type of clear, artificial eggshell gives scientists an unprecedented view of the living embryo growing inside. In an effort to make scientific research cheaper and easier, an array of ‘on-a-chip’ technologies have been developed over the past few years. The idea is to use stem cells to build a miniature replica of a real-life human organ so you can observe its reactions to as many new drugs and treatments as you like. The benefit is these little organs-on-a-chip offer a much more accurate view of how real human organs might respond to these treatments than testing them on lab animals would - and they do it much more cheaply, and humanely. Father José Antonio Solano Boitrón was caught in his bed in the Miraculous Medal Church in Trujillo (Peru). So far nothing unusual, despite the fact that he was in the company of Teolinda Amaya Altamirano, a maid, who worked in the parish. Well, not only in the company but having s3x with her! Ashish J. Thakkar is an African businessman and entrepreneur. He is the founder of Mara Group and Mara Foundation, and he is a co-founder of Atlas Mara. Thakkar was born in the United Kingdom, but he moved to East Africa as a teenager before founding Mara Group, a Pan-African conglomerate, at the age of 15. Mara Group's operations and investments span 22 African countries. Thakkar is a member of the World Economic Forum's Young Global Leaders, and was featured on Fortune Magazine's list of the top "40 Under 40" in 2013. 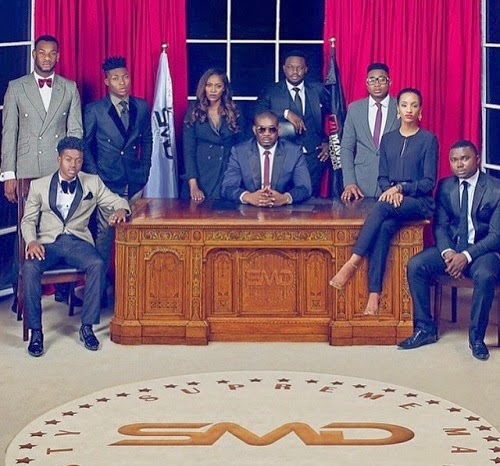 He was awarded the Base Leadership Award at the 2014 MTV Africa Music Awards event. What happens when an aircraft is no longer needed? 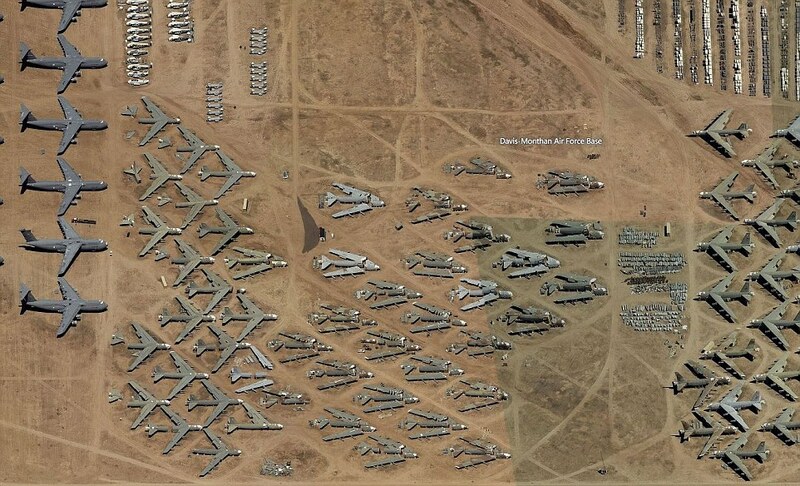 In the desert dry of the south-western US, vast ‘boneyards’ are homes to thousands of aircraft, Stephen Dowling writes. If you find yourself driving down South Kolb Road in the Arizona city of Tucson, you’ll find the houses give way to a much more unusual view; rows of military aircraft, still and silent, spread out under the baking desert sun. On and on, everything from enormous cargo lifters to lumbering bombers, Hercules freighters and the F-14 Tomcat fighters made famous in Top Gun. Boris Nemtsov, a charismatic former deputy prime minister turned Russian opposition leader, was shot and killed in Moscow Saturday, officials said. Nemtsov's death comes just a day before a planned protest against President Vladimir Putin's rule. The Kremlin said that Putin will personally oversee the investigation. Nemtsov, who was 55, was a sharp critic of Putin, assailing the government's inefficiency, rampant corruption and the Kremlin's policy on Ukraine, which has strained Russia-West ties to a degree unseen since Cold War times. 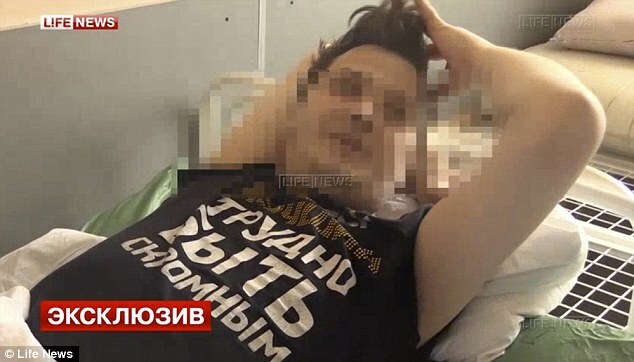 A TV actor from Russia is seeking answers as an investigation continues in search of a woman who stole his testicles after drugging him. Dmitry Nikolaev, 30, who is married, met a ‘young blonde woman’ at a bar after he had just finished a performance at a theater in Moscow. After the two shared a drink together, the woman asked if he would like to come along with her to a sauna and he agreed. However, Nikolaev remembers very little of what happened next. “They kissed and had some more beer and after that the actor remembers nothing,” Russian police said.To Nikolaev’s shock, the next thing he knew, he woke up in a great deal of pain with blood covering his pants. He was immediately rushed to the hospital where doctors delivered some bad news: his testicles had been stolen. 1. She met him at a motor park. 2. She was a university student at GREAT IFE (Obafemi Awolowo University) while he was only a Polytechnic student in Kwarapoly (Remember the discrimination) – she could have snubbed him - but she responded. 3. His friends complained that he was carrying Christianity too zealously as if he was the only Christian - she became zealous too. 4. He took her to church in 1976 and made her sign an agreement to marry and follow him whether he becomes blind, lame or handicapped… she signed. Its been 31 years since we took the blessed oath, but it all seems like yesterday. This is quite interesting. Mr. Femi Fanikayode is the Presidential campaign spokesman of the Peoples Democratic Party (PDP) and he is struggling very hard to deliver on his mandate. Yes, give it to him, Femi is a smooth talker, he is passionate about anything he keeps his hand on and he has capacity to tell lies with cosmetic beauty. I know that some people who could not read between the lines will slam the last statement above as prejudice against the heavily indicted former Minister of Aviation. So, the burden of proof lies on my shoulder. The Peoples Democratic Party Presidential Campaign Organisation says it has uncovered a plan by the national leader of the All Progressives Congress (APC), Senator Bola Tinubu, to assume the position of president of Nigeria through the back door. The Director of Media and publicity, Femi Fani-Kayode, while speaking to reporters in Abuja on Friday also alleged that the vice presidential candidate of the APC , Professor Yemi Osinbajo, had been asked to take an oath and step down after six month ‘if APC wins’. 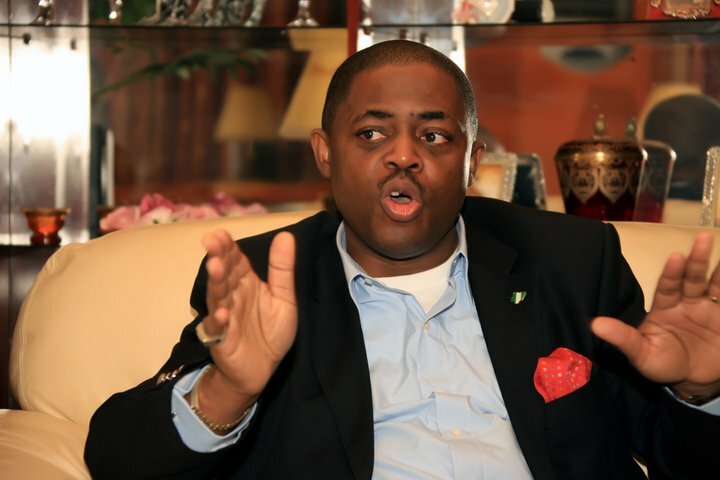 Mr Fani-Kayode said the plan was one of the reasons the leadership of the opposition party was desperate for power. 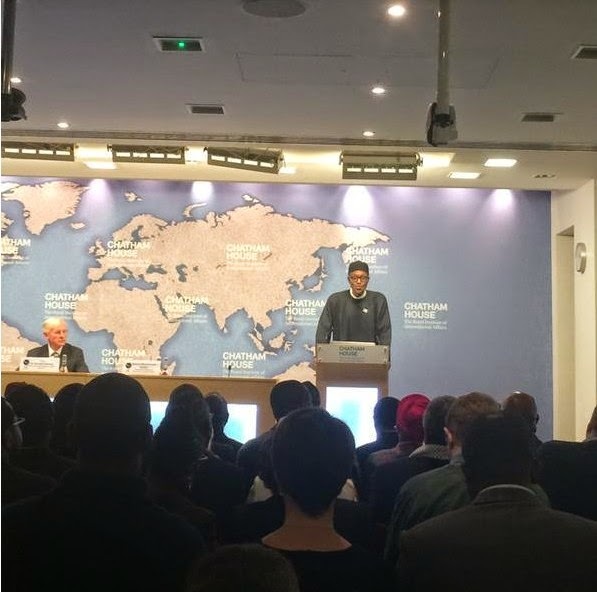 The All Progressives Congress (APC) caucus in the Senate has warned of an alleged plan by the executive to sack the Chairman of Independent National Electoral Commission (INEC), Professor Attahiru Jega. Speaking to journalists after plenary, the Senate Minority leader, Senator George Akume, said the APC was aware of the plan to ask the INEC chairman to proceed on pre-retirement leave. 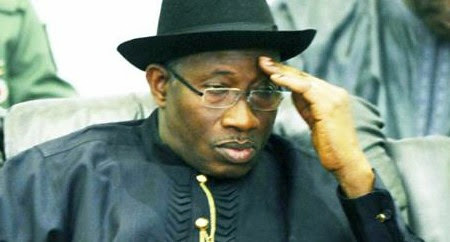 Worried by the continued defection of members of the Peoples Democratic Party to other parties, President Goodluck Jonathan has summoned all the chairmen and secretaries of the state chapters of the ruling party to Abuja for a crucial meeting next week. This, Saturday PUNCH gathered, is aimed resolving the crisis rocking the party across the country as well as at reviewing the extent of coverage of presidential campaigns by the respective state chapters of the party. For instance, the Ondo State chapter of the party has been embroiled in leadership crisis since Governor Olusegun Mimiko and his supporters dumped the Labour Party for the PDP in October last year. 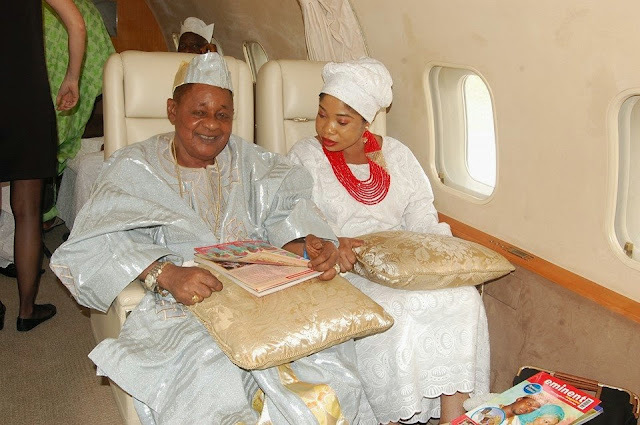 Disturbed by the recent order of a court, the Alaafin of Oyo, Oba Lamidi Adeyemi on Friday stormed Abuja to see the powers-that-be to intervene in the matter. The monarch, who arrived the Nnamdi Azikwe International Airport, Abuja aboard an Overland Air morning flight, was accompanied by two of his aides. It would be recalled that the IGP, in a motion of mandamus filed by Chiefs Jacob Oluokun and Sulaiman Ajiboye Ishola, was mandated by a Federal High Court in Ibadan, Oyo State to investigate the allegations contained in the said petition. Three ladies between the ages of 25 and 30 years died Thursday afternoon after the hummer bus in which they were travelling was knocked off the Lagos-Benin highway by an operational vehicle driven by operatives of the Nigerian Customs Service. The commuter bus with registration number EDO AKA 35 LG carrying second hand clothes also known as okirika, somersaulted during a hot chase by Customs officials from the Federal Operations Unit, Zone A, Ikeja from one of their checkpoints in Ijebu Ode. The driver of the bus allegedly refused to stop when flagged down at their checkpoint which resulted in the tragic chase. 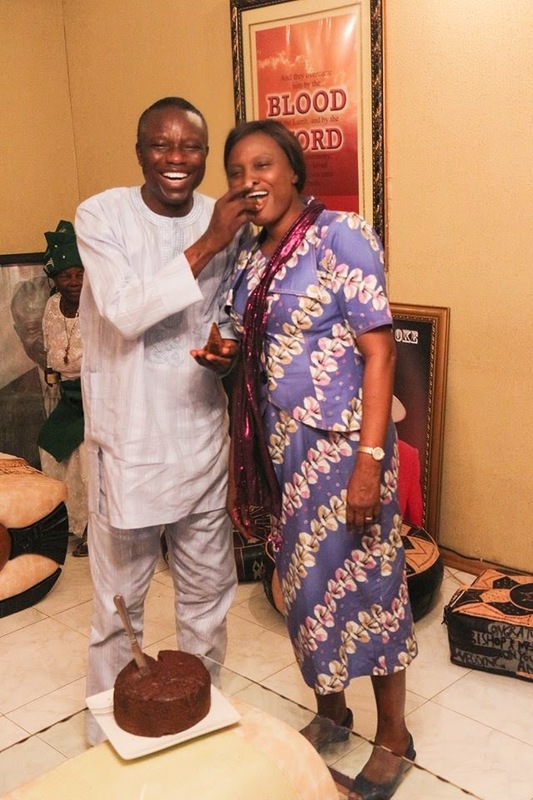 A Pastor at the Living Faith Church a.k.a Winners Chapel, Triumph Olumide Abadan and his wife, Ololade Oshingbesan Abatan a few days ago, welcomed a bouncing baby girl after being married for 14 years. It pays to patiently wait on the Almighty God in times like this. Welcome to the world little cutie. Another photo after the cut. What colour is this dress? That is the question that has sparked a fierce internet debate, with social media users, among them Kanye West and Kim Kardashian, arguing over its true hue. Now a new photo has emerged that looks set to end the row once and for all, and reveals that those who claimed it was blue and black are correct. 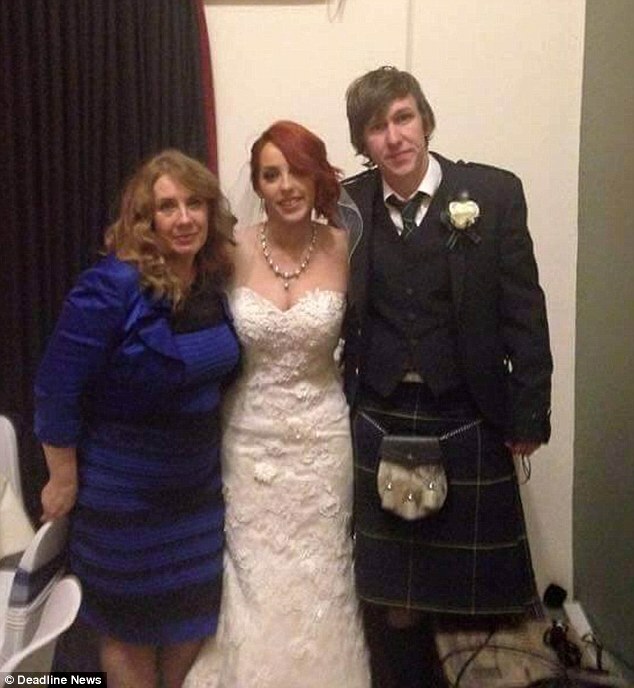 In the picture, the dress is being worn by Celica Bleasdale, the mother of the bride, and is clearly blue and black rather than cream and gold. While the importance of social media marketing is generally accepted, the fact that people don't question its value is all the more reason to think about exactly what its value is. The goals of social media marketing can't be just to gain likes, fans, and retweets. These things are not ends, but means to an end. Social media marketing is far more than an online popularity contest, and the better business owners understand that, the better they can use it for their companies. Here are five benefits to social media that business owners need to understand. A 10-year-old boy, Usen Okon, who was thrown into the Imo River in the Ikot Abasi area of Akwa Ibom State, over witchcraft accusation, has survived the ordeal. 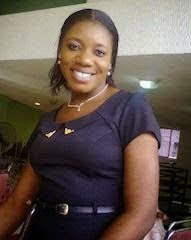 The Senior Project Manager of the Humanist Association for Peace and Social Tolerance Advancement, Mr.Ayobami Ojedokun, told news men in Uyo on Tuesday that Okon was under the care of his paternal aunt, identified simply as Ekaeyen, at Etebi community in the Esit Eket Local Government Area of the state as his parents had died. 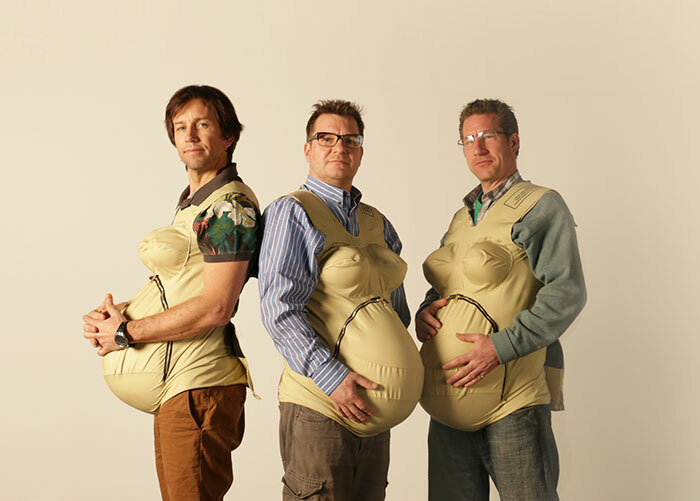 Steve Hanson, Jonny Biggins and Jason Bramley (all in their mid 40’s) decided to honor their mothers and Anna Jarvis, the founder of the Mother’s Day, by “becoming pregnant”. For 10 days they have been wearing 33lb (15kg) suits, which started to cause pains and effect their moods. The 3 Men decided to wear them for a month and document their experiences. For Jason Bramley this task has been more difficult as his wife and 10 month baby are currently away, leaving him a single pregnant dad. After the first weekend spent alone and pregnant, Jason said he started to really miss his wife and son and the wonderful chaos that he brings to life. In a strange and unexpected discovery, furniture designer and creator Nathan Chandler found and bought a home that had remained sealed since 1962, keeping its mid-century American interior perfectly intact. It’s not clear why the original owners of the home kept it sealed for so long, but we’re glad they did, because it’s a perfect time-capsule complete with the unused GE home appliances, almost looks like it is straight out of a 1950s American family sitcom. 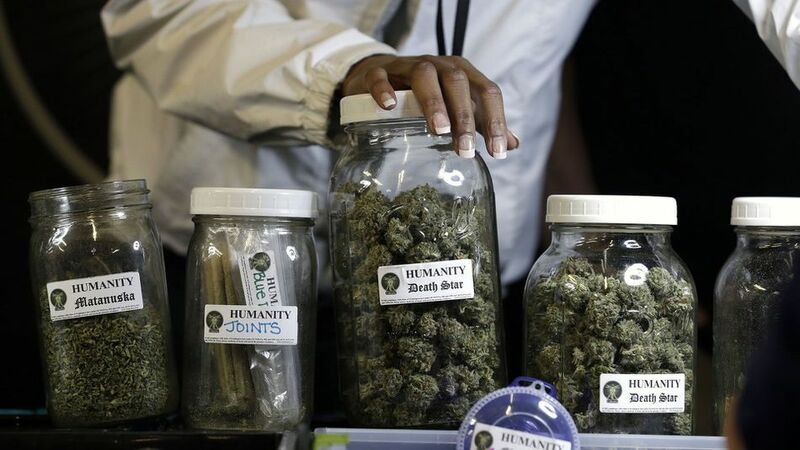 WASHINGTON — Possession of marijuana will become legal in the nation's capital at 12:01 a.m. Thursday, Mayor Muriel Bowser said, defying a threat from Congress that she and other city leaders could face prison time for implementing a voter-approved initiative. Bowser, a Democrat, said Wednesday that the city's plans haven't changed despite a letter from two leading House Republicans warning of repercussions if the city moves forward with legalization. The iPhone series just got a shot of adrenaline as the new iPhone six and six plus launched to a a massive, record breaking success.The new iPhones have been working out with great sales and have received large scale positive reviews.With the six plus they have aimed at smartphone markets as well as phablet markets. President Goodluck Jonathan on Thursday made a surprise visit to some territories recently recovered from members of the Boko Haram sect by the Nigerian troops in Adamawa and Borno states. The Presidency in a statement by the Special Adviser to the President on Media and Publicity, Dr. Reuben Abati, described the visit, that took Jonathan to Mubi in Adamawa State and Baga in Borno State among others, as an on-the-spot assessment of efforts of the military and morale booster for the troops. According to Abati, in the two towns recently recovered, Jonathan, who was dressed in full military camouflage, applauded the Nigerian troops for proving their mettle once again through the rapid recapture of the territories formerly held by insurgents in the country’s north-eastern states. The presidential spokesman quoted Jonathan as telling the officers and men of the Nigerian Army in both towns that he and all Nigerians were very proud of the bravery, competence and patriotism with which they were now undertaking operations to expel the insurgents from all parts of Borno, Yobe and Adamawa states. He further quoted the President as saying that with their recent successes, which had overwhelmingly turned the tide against Boko Haram, the Nigerian military had proven beyond any doubt that it remained fully capable of defending the territorial integrity of Nigeria. He added that Jonathan also told them that their recent victories against Boko Haram had also proven conclusively that all those, within and outside the country, who cast aspersions on Nigerian soldiers and questioned their ability and willingness to overcome the insurgents were misinformed and wrong. 30 Incredible Views you’d see if you were a bird.. or from a airplane, Heli, Airglider etc.. but hey it just sounds cooler..
Could you be the most beautiful girl in the world? Prince wondered it and many of us joined him in his pondering, but Romanian photographer Mihaela Noroc is proving that holding the title “most beautiful girl in the world” is an impossible feat. There is so much beauty everywhere- in every country across the globe and trying to compare would be a shame. Noroc has been focused on finding this beauty and has backpacked the globe with her camera to document her findings in The Atlas of Beauty. The art and tradition of using all-natural paste from the henna plant to create temporary henna tattoos goes back to ancient Asian and Middle-Eastern history, but there’s one group that has taken this ancient art form and given it a new, modern purpose. 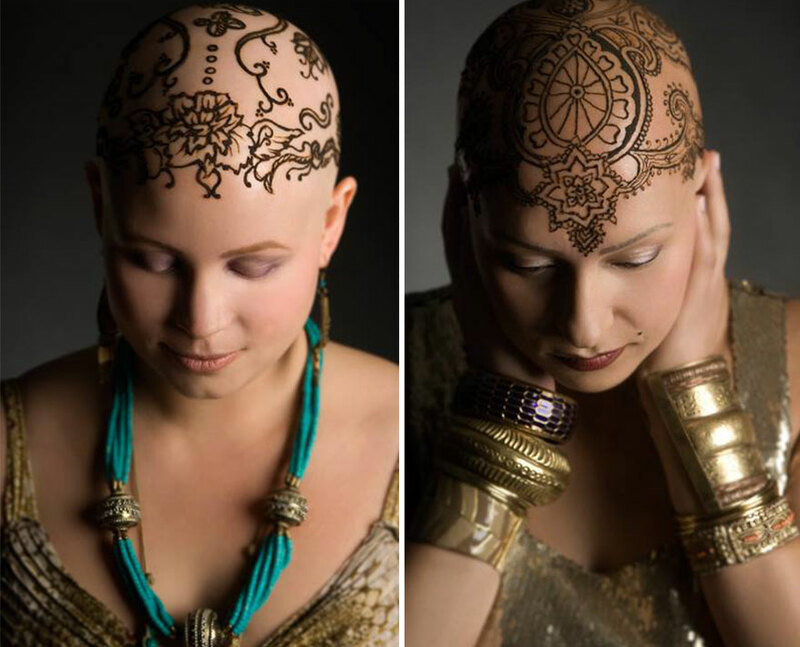 Henna Heals is a community of henna artists based in Canada that creates beautiful flowering henna crown tattoos for women who have lost their hair to cancer and chemotherapy. A nine month-old girl drowned after being left briefly unattended in the bath by her father, an inquest heard. Daisy-Ray Anderson was found face-down in the water when her dad Dale Anderson went to fetch towels and nappies. The tot was in the bath with her 18 month-old sister Lilly - just metres away from where 12 cannabis plants were being cultivated. The Islamic State executioner known as 'Jihadi John' was today named as a university graduate from London who was able to flee to Syria despite being on an MI5 terror watch list. Mohammed Emwazi, of Queen's Park, west London, was allegedly spoken to three times in one year by police and security services in Tanzania, the Netherlands and Britain. The 26-year-old, who studied computer programming at the University of Westminster, is said to have travelled to the Middle East three years ago and later joined ISIS. Tonight, the daughter of David Haines, one of the killer's beheading victims, has said she would only 'feel closure and relief once there's a bullet between his eyes'. Bethany Haines (right) lost her father when he was brutally executed by Emwazi. The 44-year-old Scottish aid worker (pictured with his executioner) was seized in Syria in 2013, and then murdered on video last September. Pictured left is Emwazi's west London home today. Big mistake honey! If you're planning on cheating, be more careful with your Facebook. Below is the full text of Buhari's speech at Chattam House today. The presentation was moderated by Sir Richard Gozney. D'banj pictured being sexually molested by South African chicks on stage....but he looks like he's enjoying it. Lots of people love the birds in their garden, but it's rare for that affection to be reciprocated. One young girl in Seattle is luckier than most. 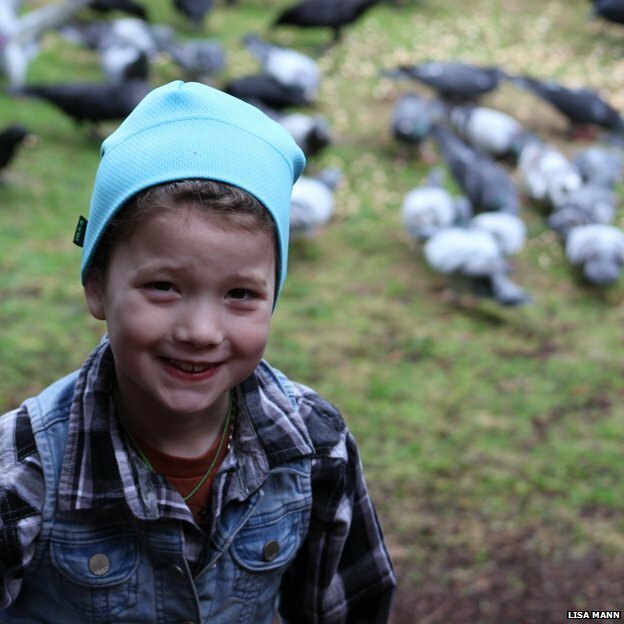 She feeds the crows in her garden - and they bring her gifts in return. Eight-year-old Gabi Mann sets a bead storage container on the dining room table, and clicks the lid open. This is her most precious collection. "You may take a few close looks," she says, "but don't touch." It's a warning she's most likely practised on her younger brother. She laughs after saying it though. She is happy for the audience. Inside the box are rows of small objects in clear plastic bags. One label reads: "Black table by feeder. 2:30 p.m. 09 Nov 2014." Inside is a broken light bulb. Another bag contains small pieces of brown glass worn smooth by the sea. "Beer coloured glass," as Gabi describes it. Each item is individually wrapped and categorised. Gabi pulls a black zip out of a labelled bag and holds it up. "We keep it in as good condition as we can," she says, before explaining this object is one of her favourites. A cleaner with one of the cleaning concessionaires at the Murtala Mohammed International Airport, MMIA, Ikeja, Lagos, has returned the sum of N12m found at the terminal. The cleaner, Miss Josephine Agwu, who is said to be on a monthly salary of N7,800, returned the sum, which was probably left behind by a passenger at the security unit of the airport. Our correspondent gathered that the incident happened on January 23, 2015, while Agwu was cleaning a toilet near the screening point of the departure area of the airport. Speaking with some journalists at the terminal, Agwu explained that she saw a small handbag left behind by a passenger and acted on instruction that any bag left unattended to in the airport terminal must be picked and deposited with aviation security department of the airport. She said after asking other passengers if the bag belonged to anyone of them and they all responded negatively, she picked up the bag and took it to the security where it was opened and found that it contained $27,000 and other currencies, including naira, which added up to N12m. She, however, told journalists that a passenger on Emirates Airlines, who was later simply identified as Samuel from Anambra State claimed ownership of the bag and its contents from the aviation security after much screening. She added: “If I had taken what doesn’t belong to me, God will punish me. I am content with my N7,800 monthly salary. It was not my money. I believe when it pleases God, He will bless the work of my hands and will make me rich. A middle-aged man, Mudashiru Sheriffdeen, has reportedly run away immediately he was told his wife, Taiwo, gave birth to a baby boy without arms. Sherifdeen, who lives at Bosun Street, Ifo, Ifo Local Government area of Ogun State, was said to have taken to his heels on Tuesday when he heard that their new baby boy had no arms. Vanguard gathered that the baby boy was born around 2pm at a private hospital, Majotal Medical Clinic, at Ilogbo area of Ado/Odo-Ota Local Government Area of the state. He weighed 3.25kg at birth. The mother of the baby said immediately she gave birth to the baby boy, her husband took to his heels on hearing that the baby was born without arms. She said: “This is my first child and I do not know why I had to give birth to this kind of a baby. 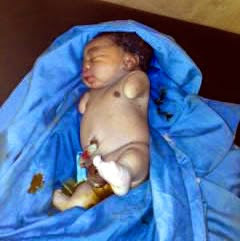 Immediately my husband was informed that his son had deformity, he had not come to see me. “He is a commercial bus driver, and we had been married now for almost two years before God decided to answer our prayers. Pandemonium broke out in the Mosafejo, Oshodi-Isale area of Lagos State, after rival groups said to be members of the National Union of Road Transport Workers, clashed on Tuesday evening and early Wednesday. Four people were reportedly killed, while several others were injured in the fracas which was stopped after the intervention of security agencies. PUNCH Metro gathered that no fewer than 15 commercial buses were set on fire, while 12 others were vandalised. Makeshift stalls in the Mosafejo Motor Park were also torched, leaving traders in the park mourning their losses. Tiffany Cole and Emilia Carr did not know each other before they were put on death row at Florida's Lowell Correctional Institution in Ocala. But now the women, who share incredibly similar stories, couldn't imagine life without each other. Sexually abused when they were young, the cellmates were both convicted of separate murder charges they say are wrong and are fighting to have their death penalties removed from their sentences. Carr, 30, is the is the youngest woman in the United States on death row, while Cole, 33, is the third youngest. 'It's legal murder,' Cole told ABC News' 20/20 program during an interview with Diane Sawyer, which will air in-full on Friday. President Jonathan and former Heads of State, Chief Ernest Shonekan, Gen. Babangida, Gen. Gowon and Gen. Abdulsalami, celebrating with former President Shehu Shagari as he marked his 90th birthday at Sokoto today. President Goodluck Jonathan and the presidential candidate of the All Progressives Congress (APC), General Muhammadu Buhari (rtd), have congratulated former President Shehu Shagari on his 90th birthday anniversary. On his part, Jonathan extolled Shagari’s virtues, describing him as a committed patriot and outstanding leader. The president, who personally wrote to congratulate the former leader on his 90th birthday, said the present administration would continue to count on the former president’s support and solidarity. Presidential spokesman, Dr. Reuben Abati, noted in a statement on Tuesday that Jonathan wrote to felicitate with Shagari on the occasion of his 90th birthday which comes up today. A woman who sat on top of another woman and punched her in a row over picking up children from school must pay €21,000 damages to her victim, the High Court ruled. Mr Justice Michael White said he was satisfied that Abiola Adiyinka was injured in an unprovoked assault which was severe in nature. The court heard Ms Adiyinka and Idowu Nduirbu, who are both originally from Nigeria, were friends and their daughters went to primary school together at St Bernadette's in Quarryvale, Clondalkin , Dublin. Davido is the second celebrity and artiste to be signed by the company following Tiwa Savage in 2014. Davido who recently released a new single titled “The Sound” with a music video posted a photo on Instagram last week with Femi Otedola and captioned it “F.O x O.B.O 2015″. Nollywood actress, Eniola Badmus took to instagram to show off her new ride- A brand new Honda Pilot SUV. Keystone bank is one of the new generation banks in Nigeria, built with few branches in Nigeria but with high rate of fraud and scams however, a director of Keystone Bank, Yetunde Kakulu-Yusuf is allegedly involved in adultery mess. Source revealed that Yetunde and her former husband Edmund Kakulu had been at crossed road for four years now with no sign of improvement in relations. 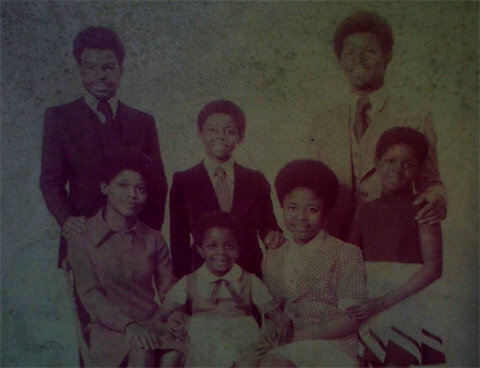 Meanwhile, source revealed that what triggered their separation was the allegation made by Yetunde that Edmund was having an affair with her younger relative simply identified as Blessing, who lived with them at Barnawa Close, Kaduna, and put her in the family way. 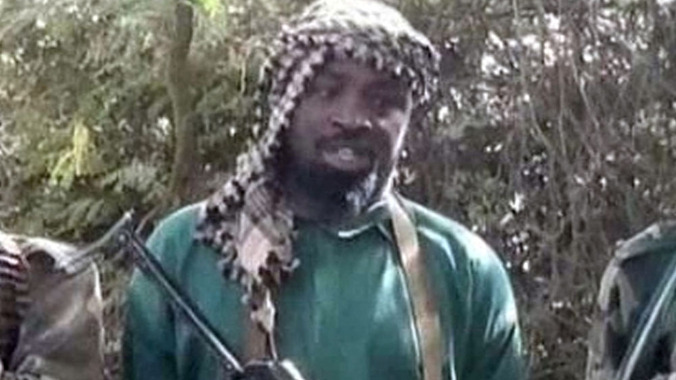 Intelligence sources have leaked that the Nigerian government with its Chadian partners have captured a current “Abubakar Shekau,” leader character of the Boko Haram sect. The Nigerian army and unusually the president himself this week promised to capture “Shekau” alive before the March 28th elections.